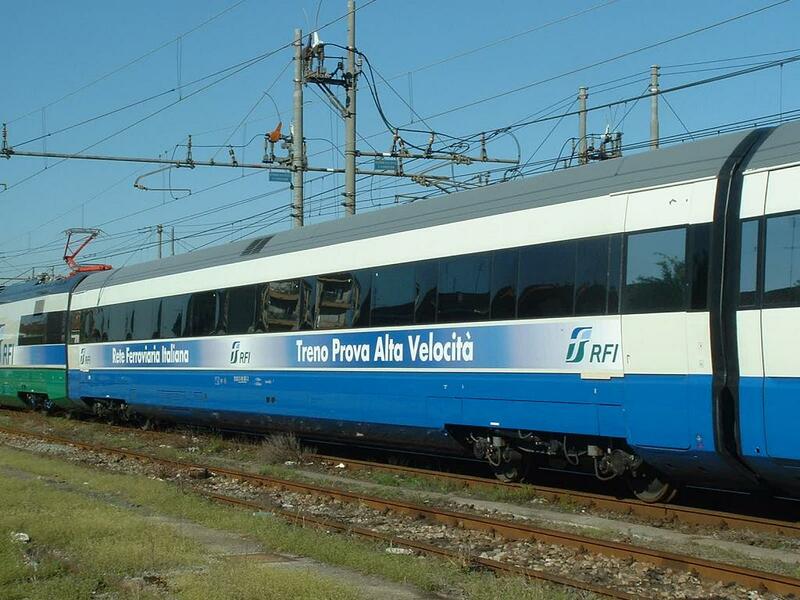 RFI - Test train ETR500 - Y2. 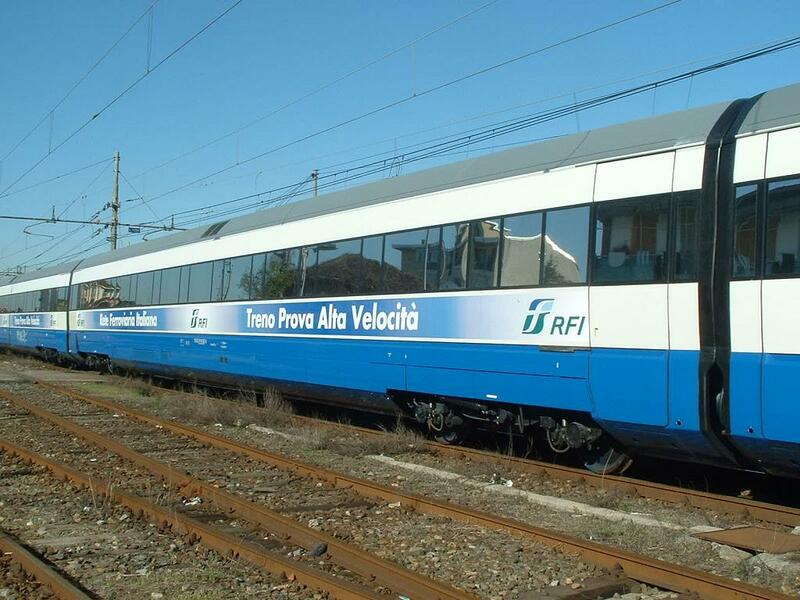 Settimo Torinese, 13/04/2006. 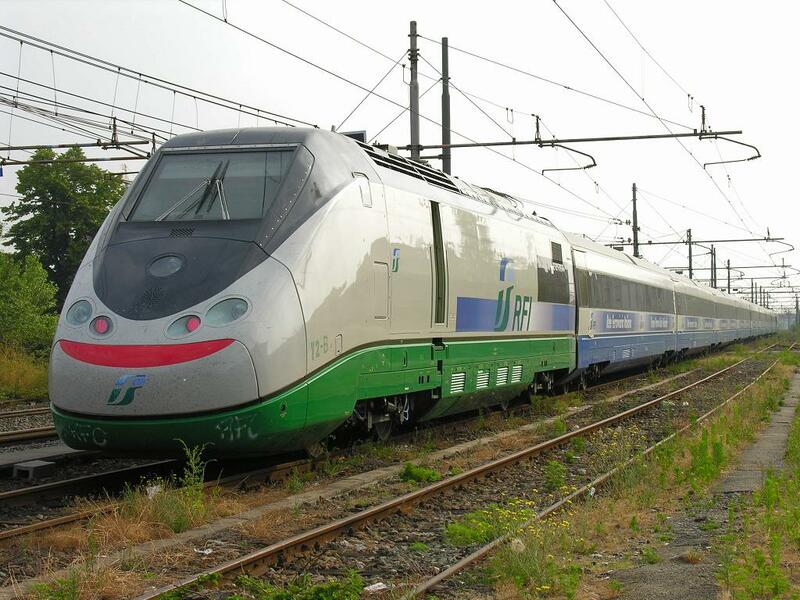 Trenitalia - Test train ETR 500 Y2. 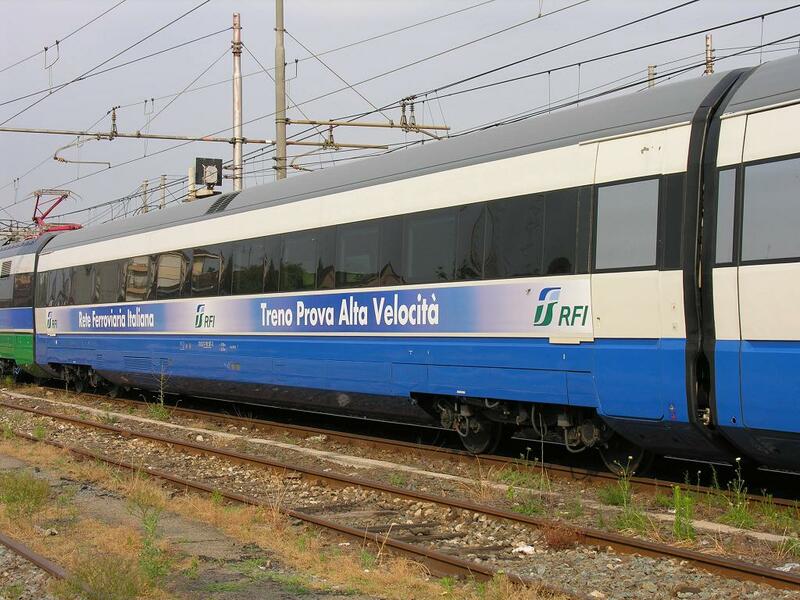 Settimo Torinese, 26/06/2006. 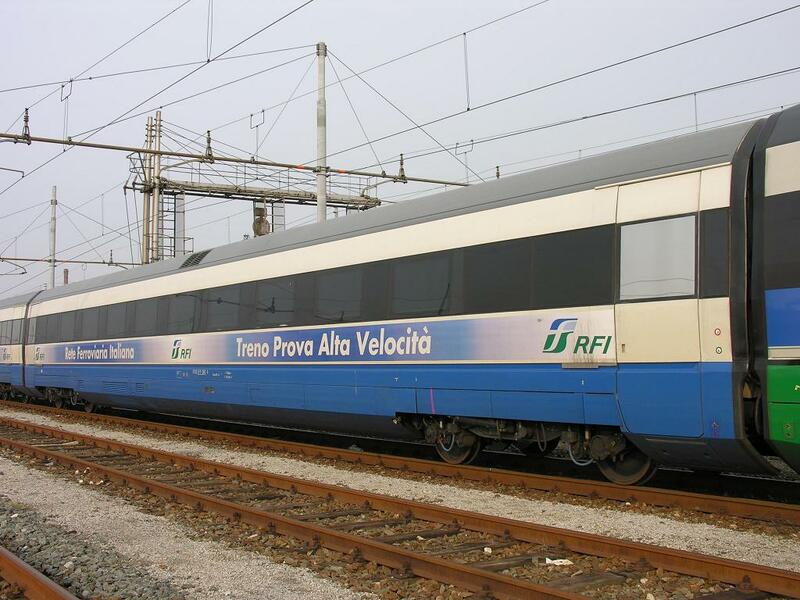 RFI - Test train ETR 500 Y1. Santhi�, 2007/04/03. 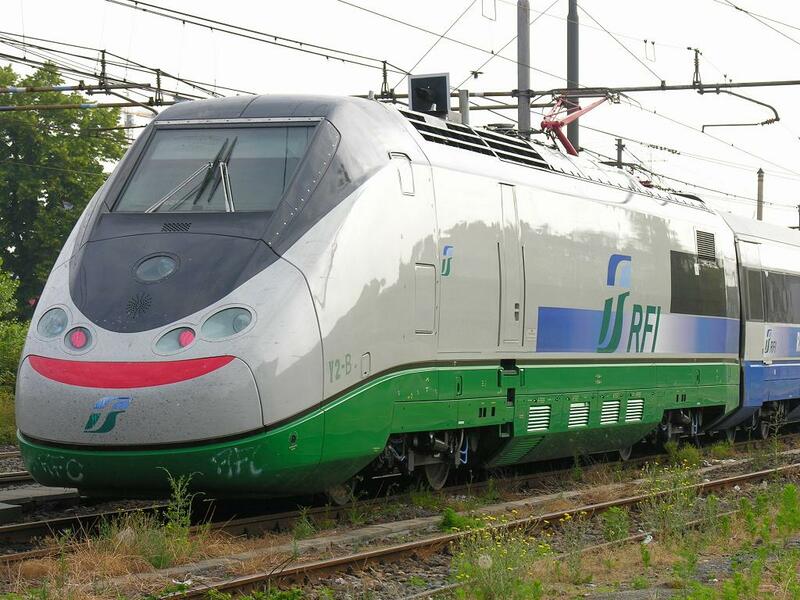 IMC ETR 500 Frecciarossa - Napoli, maggio 2012. 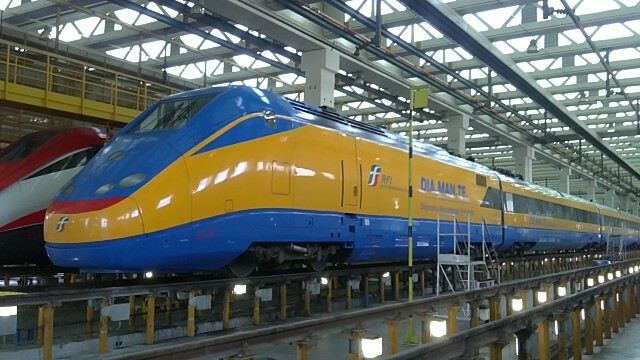 La locomotiva E404.6xx (convoglio prova Y1 di RFI) in attesa di manutenzione all'interno dell'impianto. 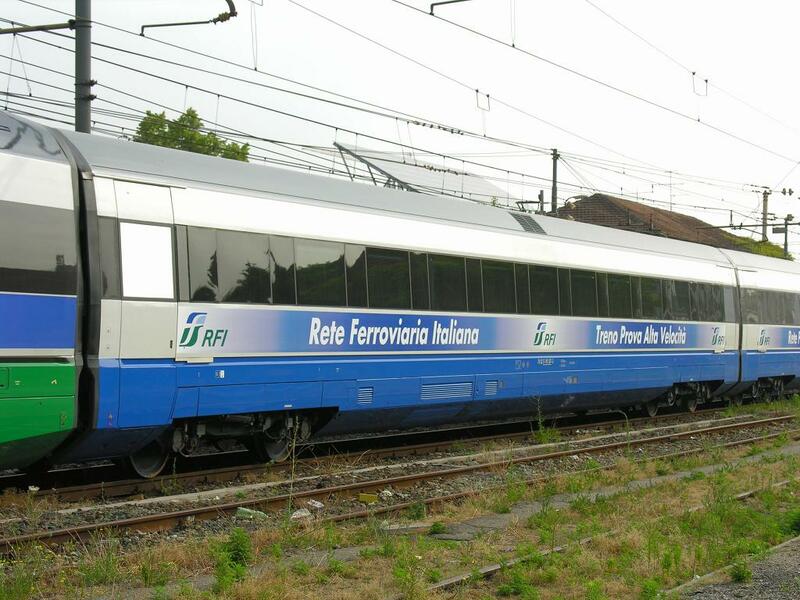 A breve dovr� ottenere la nuova livrea DIA.MAN.TE. 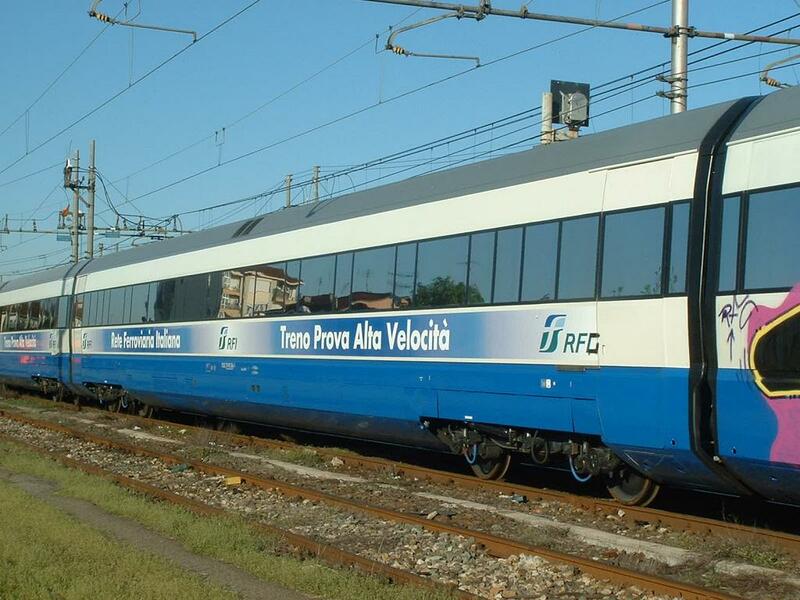 in sostituzione della vecchia XMPR modificata. 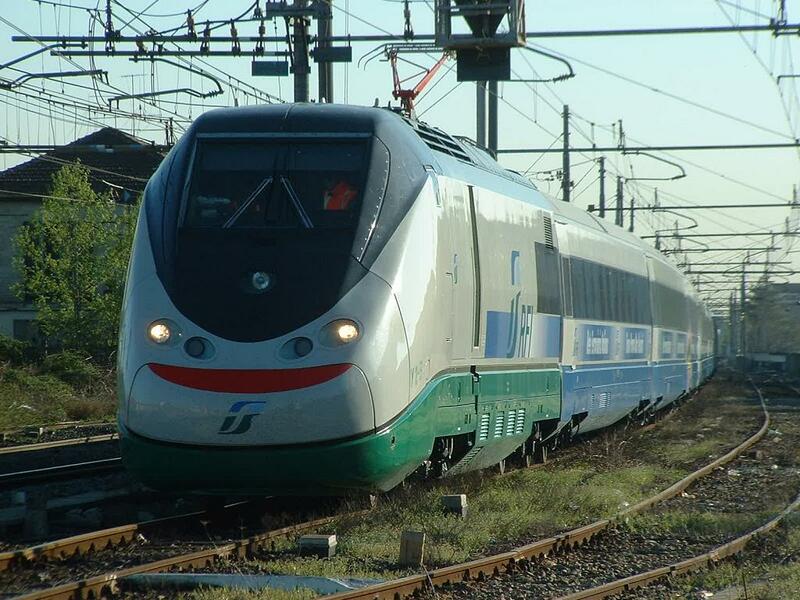 IMC ETR 500 Frecciarossa - Napoli, giugno 2012. 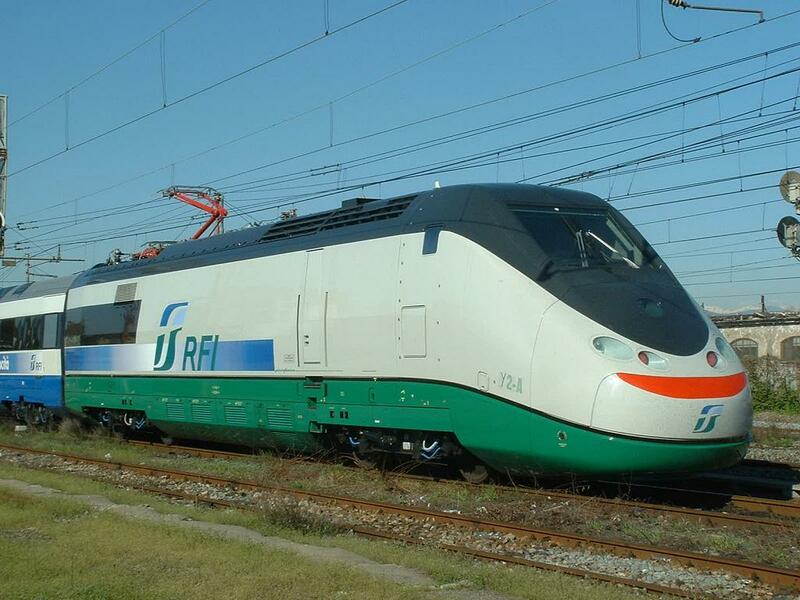 La E404.538 in livrea DIA.MAN.TE. 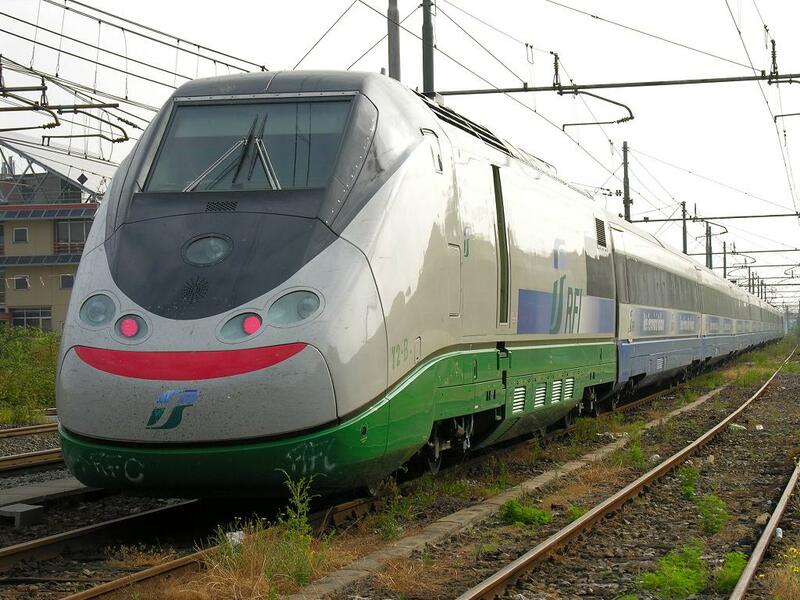 (Diagnostica Manutentiva Tecnologica), la nuova classificazione applicata ai convogli prova serie Y. 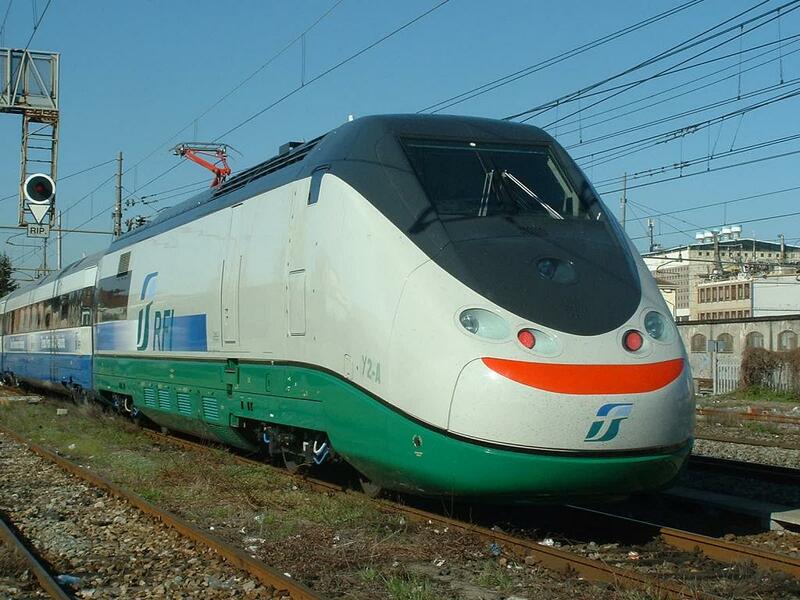 In questo caso, la locomotiva � numerata Y2-B. ETR 500 Y2 at the depot of Haydarpasa along with a suburban set A14000. 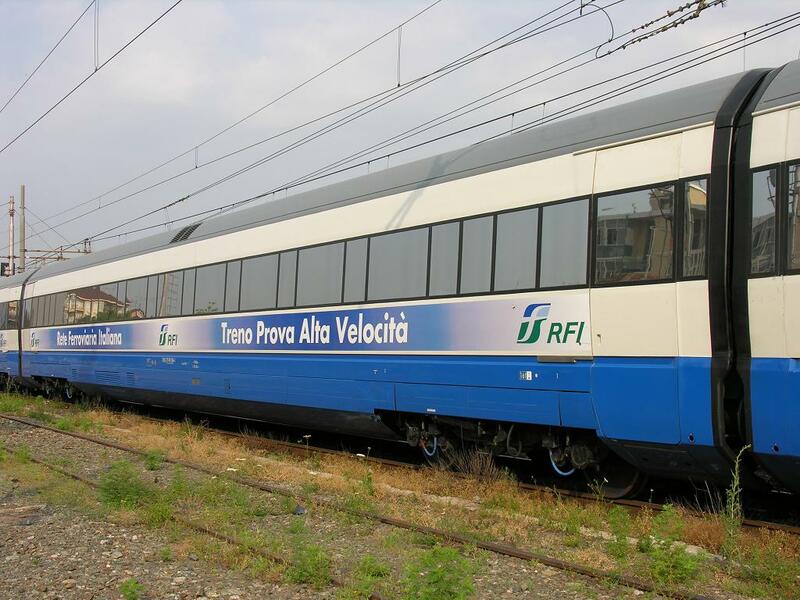 TCDD has rented a special purpose test train from RFI of Italy in order to perform tests on the first high speed line being built in Turkey. The line extends from a district of the Capital Ankara called Esenkent to a neighboring city named Eskisehir. 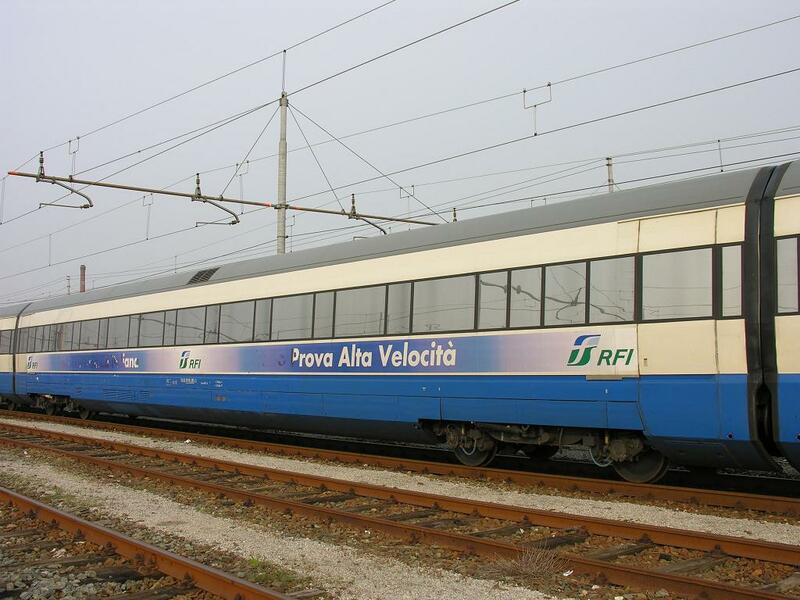 The line is yet 206 km. 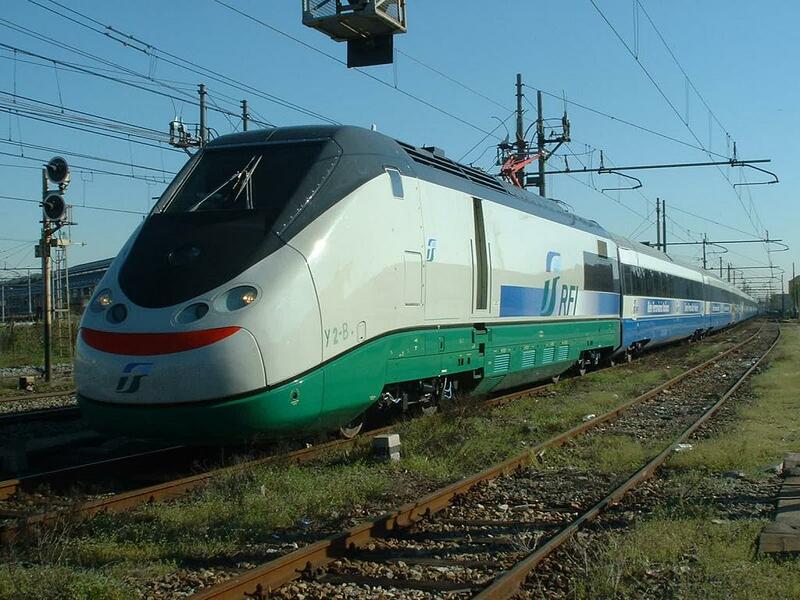 but will soon be extended to Istanbul reaching more than 400 km. 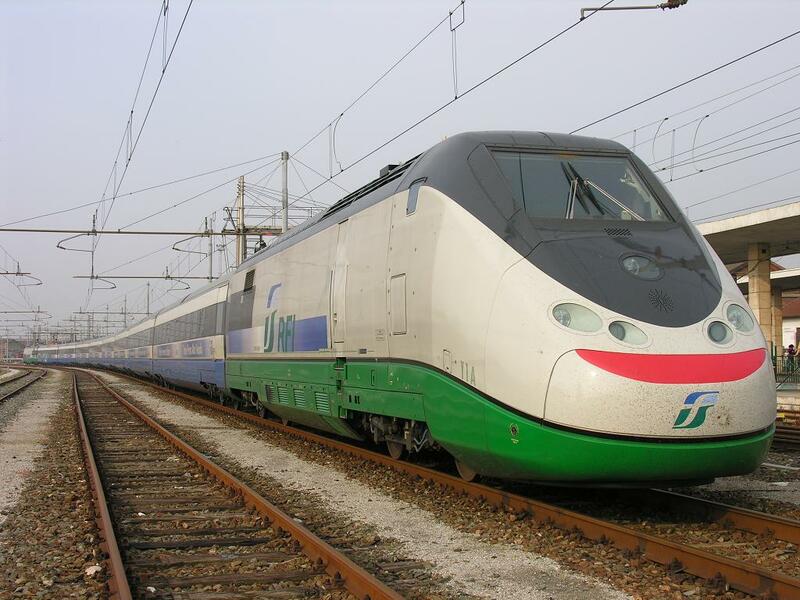 Also other high speed lines are planned like Ankara-Konya, Ankara-Izmir and Istanbul-Izmir. 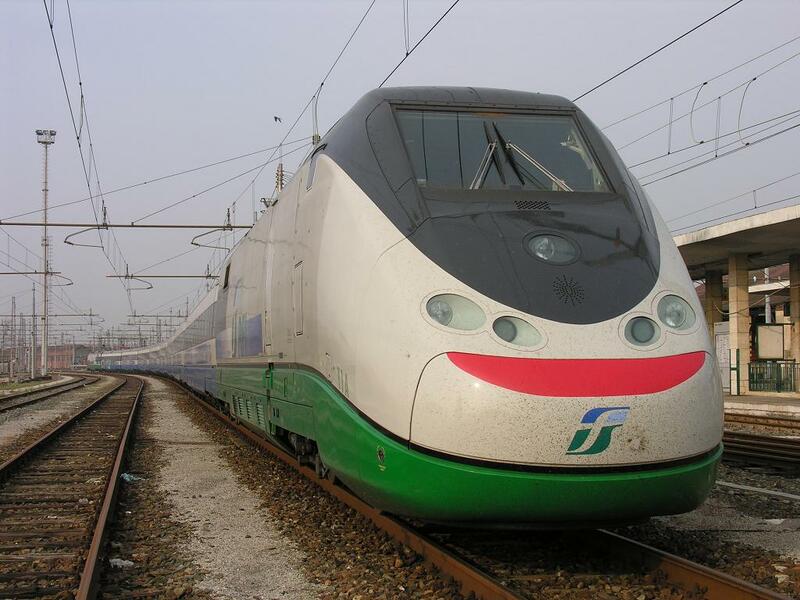 For more info: http://www.tcdd.gov.tr/tcdding/index.htm The rented unit ETR-500 Y2 shown here is resting at Haydarpasa main station after being introduced to public. 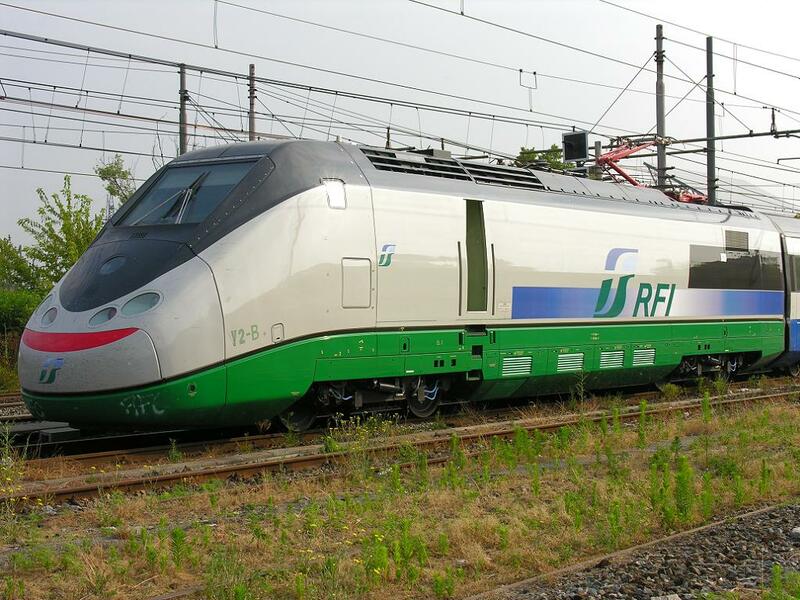 It has three logos of respecting companies FS, RFI and TCDD. 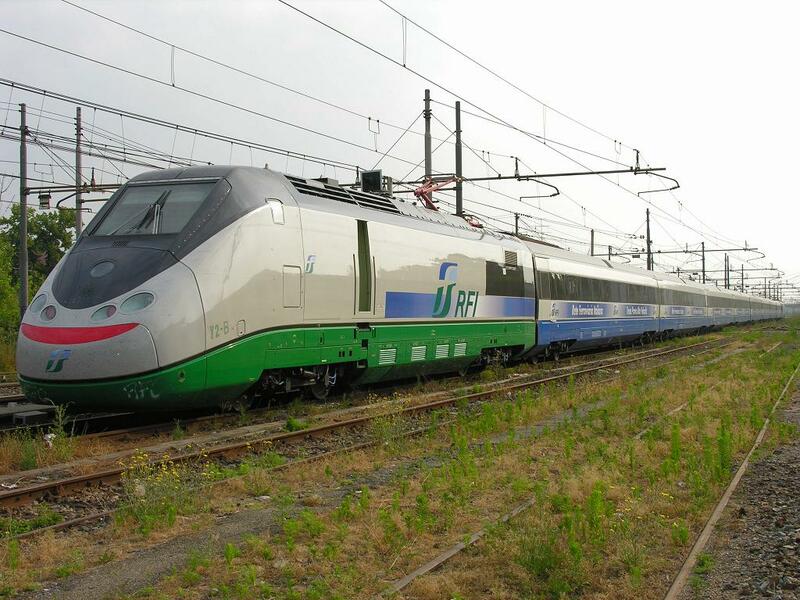 The unit was brought to Haydarpasa for two purposes: One was public demonstration and the real purpose was to test the conventional single and double tracks from Eskisehir to Haydarpasa for use with high speed trains operating at reduced speed. 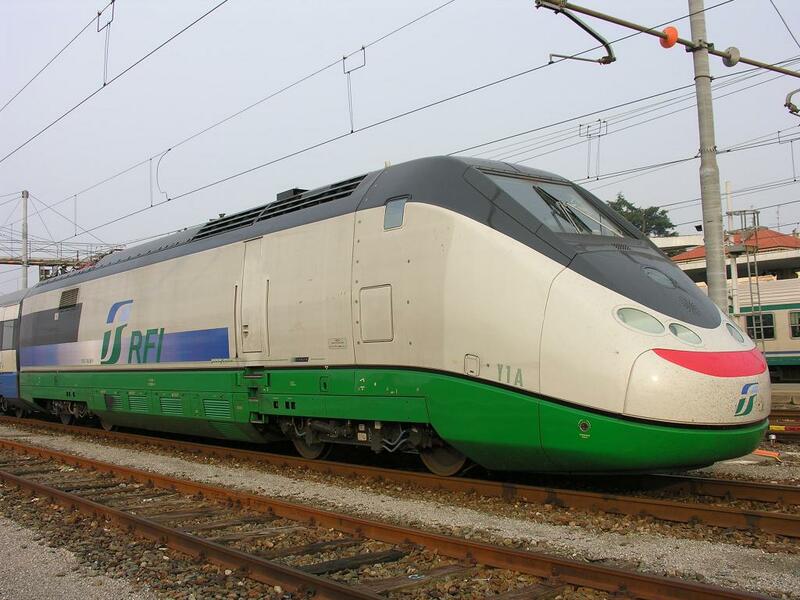 The unit consists of two powered end units (three current) middle car for stuff or passanger testing and two cars adjacent to the power units for testing equipments. 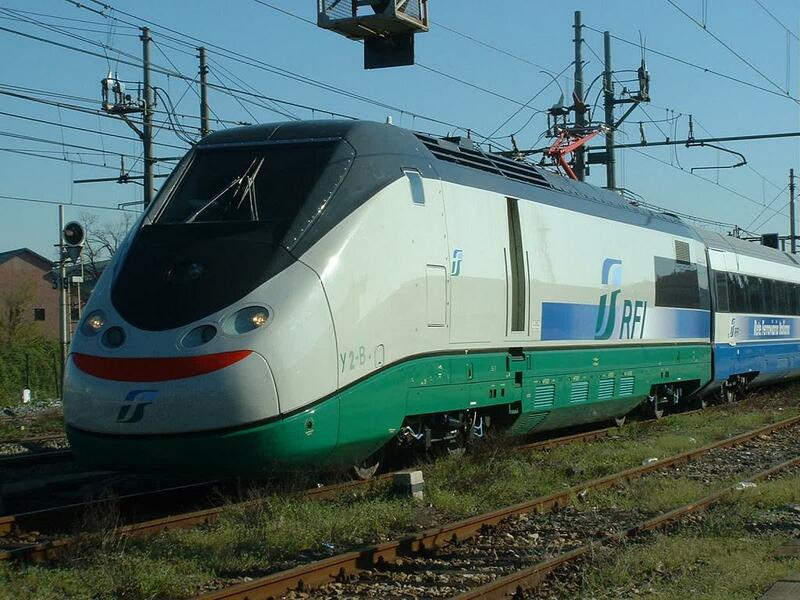 The train is operated by Italian crew accompanied by Turkish members. 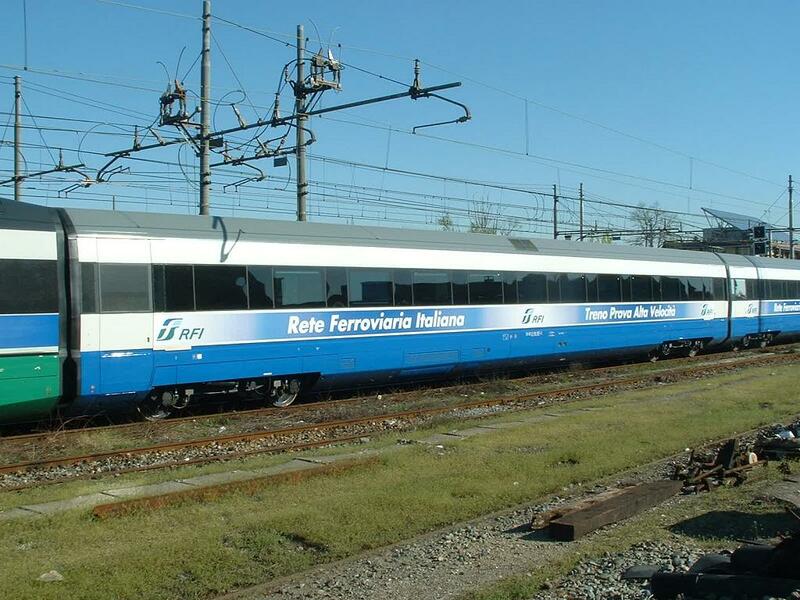 Despite the line is being tested by Italian ETR-500 Y2, Spanish CAF trains will be operated on the line when finished. A memory at Yayla station. On the photo are managers and academics. 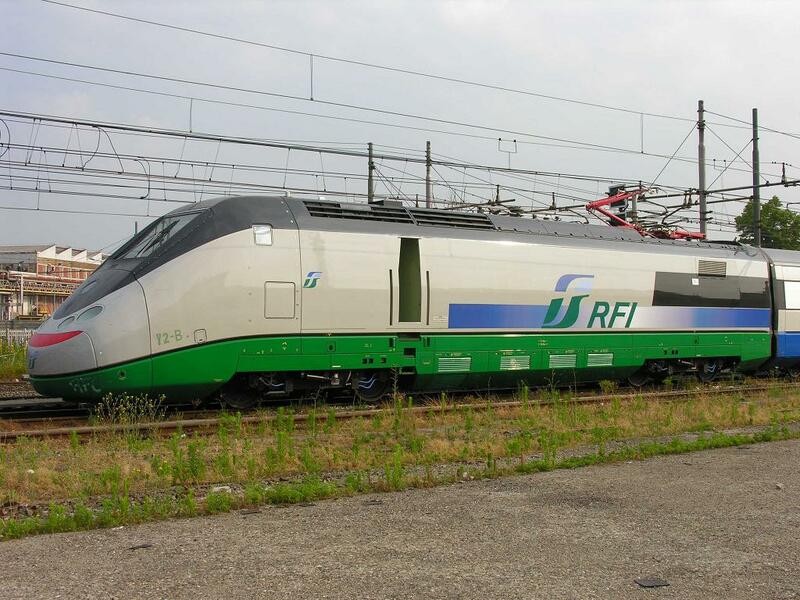 ETR 500 Y2 is resting at the depot between two suburban A14000 sets. At the left, two Turkish engineers. ETR 500 Y2 is on the way to the depot at Haydarpasa. A memory with Italian and Turkish engineers. 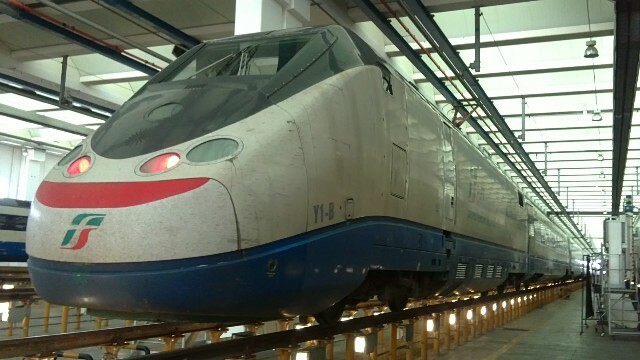 ETR 500 Y2 is ready to depart for the demo tour to Ankara at Haydarpasa station. 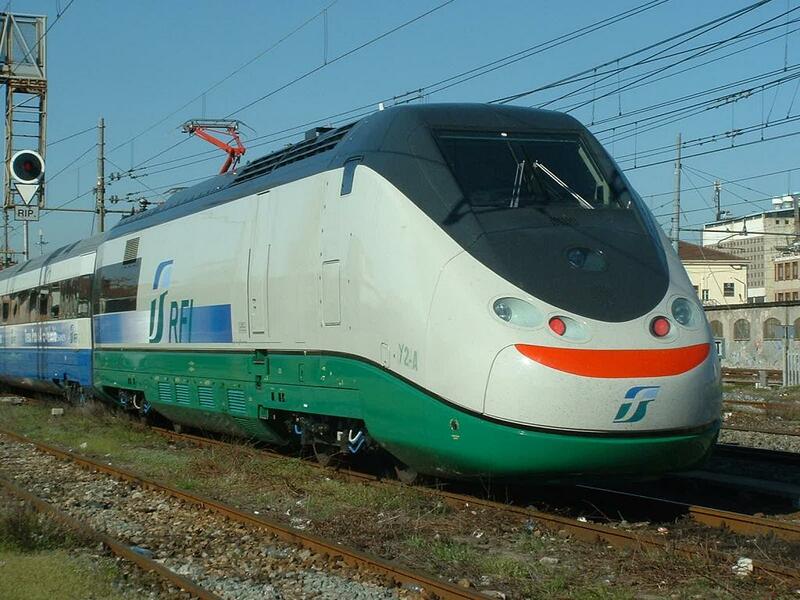 An Italian engineer is doing the coupler inside the nose whilst Turkish engineers were inspecting the process. The coupler is pulled inside by using a hand lever. 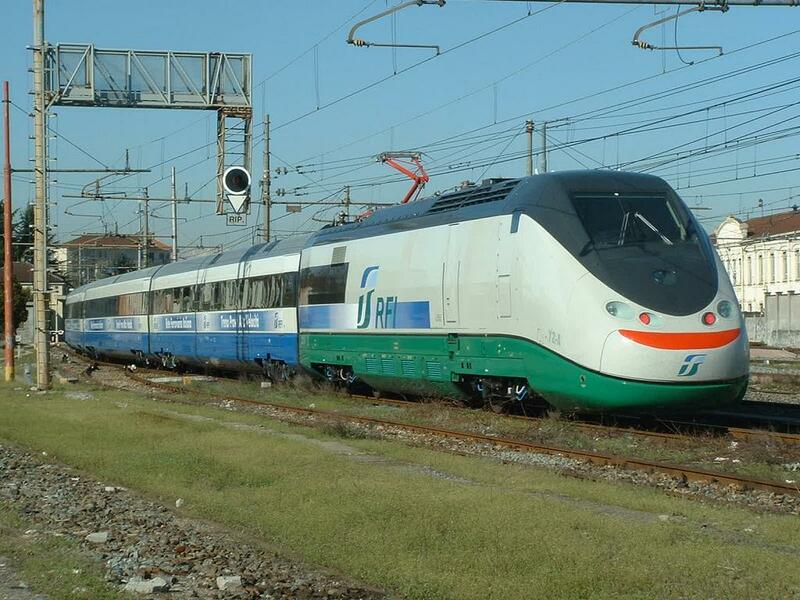 ETR 500 Y2 is on the line 2 at Haydarpasa for public introduction the day before it departs to Ankara. Photo session at Yayla station.